Well,, I’m not actually opining but I was surprised at this bit of news…. 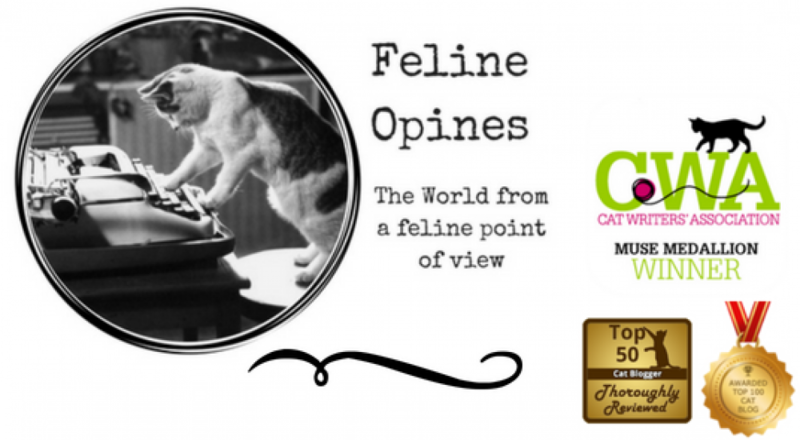 This entry was posted in Cat writers, cats, Pet blogging, Siamese cats and tagged Alberto, FeliineOpines, The Tribe of Five, tropical storm Alberto by Feline Opines. Bookmark the permalink. MOL! Now you’re more famous! Famous you are, Alberto. And a very distinguished pose. Cats certainly can create a cyclone when they are so inclined. Puff the storm does lose a little something, I agree! That’s some look. I hope it’s not a real bad storm and you’ll not feel so bad. I linked this post to Feline Friday. Thank you and Id hate to think people might be in danger because of a storm named after me! Does this mean it is going to be a big storm? Well, if they named it after me, of course it will be big! What a BEAUTIFUL cat you are! Why thank you, and purrfect weekend wishes to you and yours! Purrfect pose to go with this honor! But I sure feel sorry for the folks who are suffering because of the storm named after me😿. Sending g love and purrs do you both. I thought of you when I first heard that. Given your personality, it didn’t seem right to have a nasty storm with the same name.